V-LUX and Macro-regional branch “Center” of OAO “Rostelecom” (previously OAO “CenterTelecom”) have been fruitfully cooperating for many years in different fields of television broadcasting. The project “Enlargement of the number of channels and the zone of the service Digital television on IP/MPLS networks” was realized in 2012. Within the framework of the project V-LUX fulfilled modernization of the carrying satellite IPTV head-end, including full-circle works (project development, surveys, equipment installation, planning and surveying works, maintenance and technical support) and training of OAO “Rostelecom” personnel. Equipment of receipt and multiplexing of TV signals by Harmonic Inc.
Broadcasting transcoders of IPTV services by Harmonic Inc.
Complex of IPTV/ОТТ services transcoding by Bradbury Lab. Russian largest system of broadband access via cable TV network for OAO “TKT” (currently the Macro-regional branch “North-West” of OAO “Rostelecom”, Saint-Petersburg) was the first in the country to start using DOCSIS 3.0 standard in 2009. V-LUX supplied and installed all the CMTS equipment for this largest broadband access project in Russia (more than 1,5 mln subscribers). 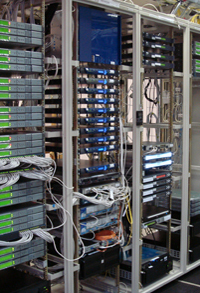 In 2010 V-LUX supplied, installed, started-up and adjusted the equipment and integrated it into existing systems of billing and network resources control. More than that, V-LUX carries out the technical support of all Arris equipment purchased by OAO “TKT” in the period from 2007 to 2014 years. CMTS fleet of OAO “TKT” currently comprises more than 70 small class CMTS Cadant C3, more than 40 city-class I-CMTS Cadant C4, also we supplied thousands of end-user devices for TKT clients. Also in 2010 we supplied and started up Harmonic equipment for expansion of the head-end of digital TV broadcasting of 120 TV-programs in the format DVB-С MPEG-2 SD and MPEG-4 HD. Within the framework of the Concept developed in 2009 of Constructing the united complex for fulfillment of instrumental control of parameters of the signals broadcast in TKT networks, in 2010 – 2013 V-LUX supplied and started-up the equipment by Pixelmetrix IP3, allowing to control the quality of digital TV stream and in IP-networks. 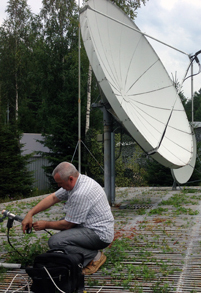 During 2013 – 2014 V-LUX fulfilled the modernization of the platform of IPTV services provision in the macro-regional branch “Siberia” of OAO “Rostelecom”. This works was arranged in 2 stages.